Bikaner (Rajasthan) [India], Apr. 19 (ANI): The Enforcement Directorate (ED) on Thursday seized land parcel in Bikaner allegedly linked to Congress president Rahul Gandhi's brother-in-law Robert Vadra. The ED has put up its board on latter's land. New Delhi [India], Apr. 03 (ANI-BusinessWireIndia): SHILPI GUPTA SURKHAB, a Dubai based high-end womenswear label which exemplifies the love for heritage techniques and craftsmanship, was launched at Bikaner House, New Delhi. Bikaner (Rajasthan) [India], Mar 15 (ANI): A Pakistani infiltrator was arrested by the Border Security Force (BSF) on Thursday from the International Border (IB) in Rajasthan's Bikaner. Kolkata (West Bengal) [India] Feb. 28 (ANI): The Central Bureau of Investigation (CBI) has filed FIR against Kolkata based RP Info System for a bank fraud of Rs. 512.12 crore. 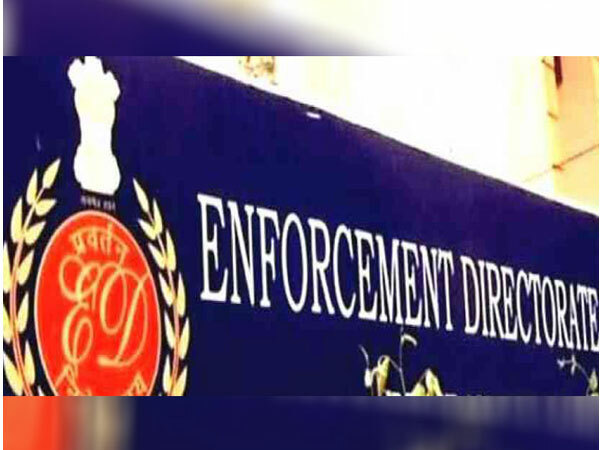 Faridabad (Haryana) [India], Feb. 09 (ANI): The central probe agency, Enforcement Directorate (ED), on Friday conducted raids on the premises of Congress leader Mahesh Nagar here, in connection with the Bikaner land scam case. Bikaner (Rajasthan) [India], Jan 15 (ANI): Showcasing the rich and colourful culture of Rajasthan, the two-day 25th International Camel festival kick-started in Rajasthan's Bikaner district on Sunday. Jaipur (Rajasthan) [India], Dec 22 (ANI): Jaiprakash Bagarwa and Ashok Kumar were produced before a court in Jaipur in connection with Kolayat Land Scam Case. New Delhi [India], Dec. 22 (ANI): Welcoming the Enforcement Directorate for arresting two persons in connection with the Bikaner land scam case, Bharatiya Janata Party (BJP) leader Subramanian Swamy on Friday said ED should also be transferred to the Prime Minister's Office till 2019. New Delhi [India], Oct. 1 (ANI): After making a comeback to the big screen in 'Bhoomi', Sanjay Dutt has now kickstarted the first schedule of his next film titled 'Saheb Biwi aur Gangster 3'.